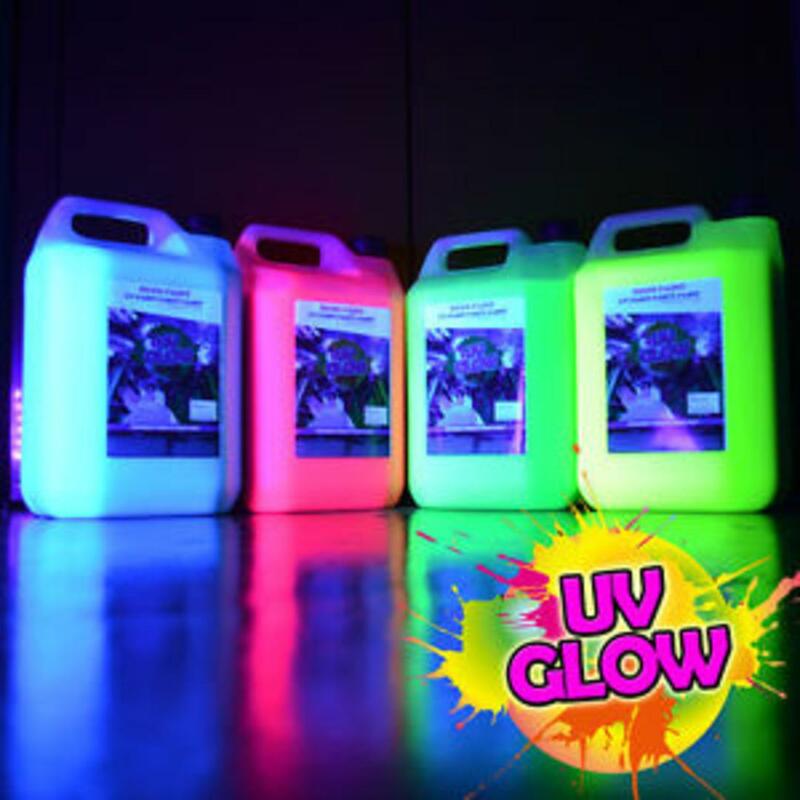 Fluorescent blacklight reactive UV Neon�Splash Paint is a washable Neon Party Paint glows brightly under blacklight, which makes it great for night clubs, dance parties, and raves! Throw it, Spray it, Splash it! The Neon UV paint is safe for the skin (similar to body cream) and has been tested under cosmetic standards. The paint is manufactured and tested. The neon paint can be easily washed off with soap and water and can also be washed out of most textiles and clothing (may require 2-3 washing cycles). We can not guarantee that the paint can be removed from all materials and furniture. In particular paint pigments can attach on rough surfaces (eg. on rough plaster walls). We recommend Paint parties to be held only on suitable premises (without valuable furniture, etc.). Guests should not wear valuable clothing and must be informed and agree that, of course, the color will be splashed. Currently available in Blue, Green, Pink, Yellow, Orange, Red. We recommend to purchase on average one 1 Gallon jug for every 15-25 people attending.